The story of the Staffordshire Potteries has rarely been told, and yet this area of the Midlands has a far richer and a more distinct heritage than many better known parts of Britain. Here a skilled and industrious workforce working in often wretched conditions would make objects of great beauty with the simplest of tools and raw materials. While collectors have studied the wares of the Potteries, the circumstances of their production have often been overlooked. 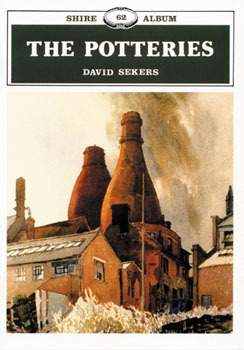 This book shows how the Potteries became such a remarkable place and illustrates the traditional skills of the potters. The numerous descriptive vintage photographs and diagrams tell the tale of a life in the Potteries often filled with hardship. This excellent book is both an informative look at the Straffordshire Potteries and a captivating story.